Pepsi fans get in here! 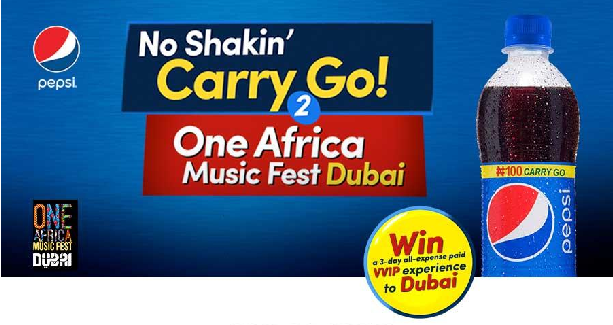 10 of you will be selected to attend the One Africa Music Fest in Dubai. This is an all expense paid trip thanks to Pepsi. You’ll enjoy 3-days VVIP experience and get to party with Africa’s biggest music exports: Wizkid, Tiwa Savage, Davido and Tekno. You want to be among the 10? 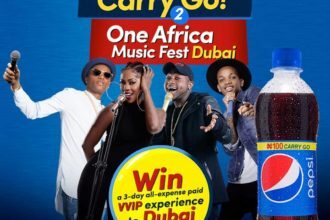 Follow these steps and who knows, you may be on your way to the One Africa Music Fest in Dubai next month. Creatively express yourself to the beat, by singing or dancing, in a 60 second (or less) video. 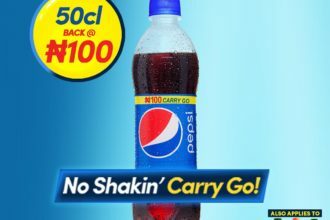 You must like Pepsi Nigeria on Facebook and follow @Pepsi_naija on Instagram and Twitter. 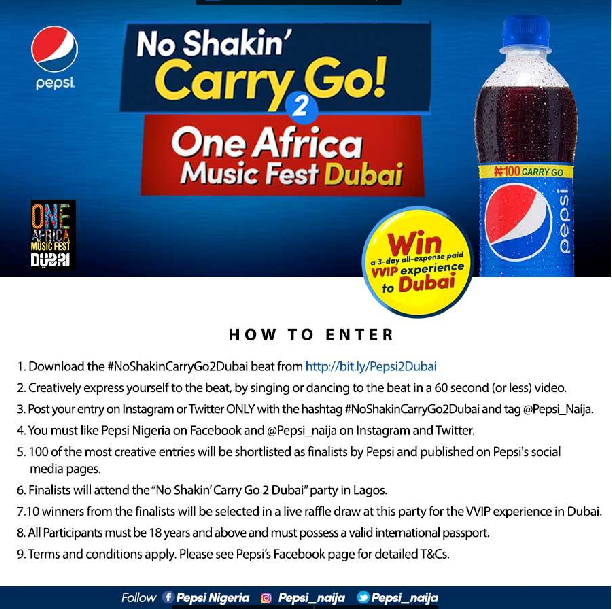 100 of the most creative entries will be shortlisted by Pepsi and published on Pepsi’s social media pages. 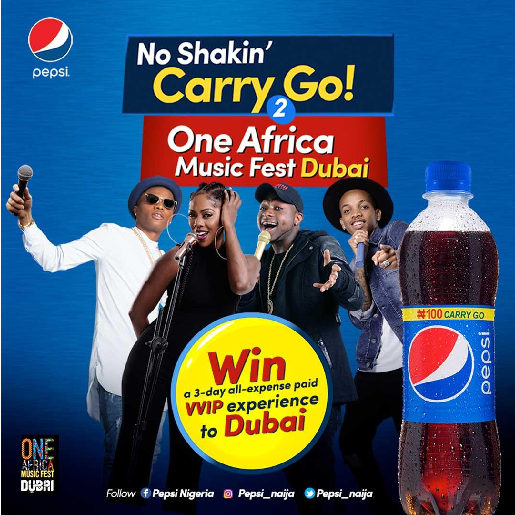 Finalists will attend the “No Shakin’ Carry Go 2 Dubai” party in Lagos. 10 winners from the finalists will be selected in a live raffle draw at this party for the VVIP experience in Dubai. All participants must be 18 years and above and must possess a valid international passport. Terms and conditions apply. Please see Pepsi’s Facebook page for detailed T & C’s. Just download the beat and have fun with it! !